This year one of our initiatives is to renew the Active School Flag Award!! ​Traditionally our school has always been very active. Now we want to celebrate our activities and share it with the world! The Active School Flag is awarded to schools who are encouraging children to get up and move in whatever way they can. If you wish to read up on the initiative, why not click here! Wondering how you can improve your level of activity? Get Ireland Active website is packed with practical suggestions for everyone from toddlers to grandparents! By creating stations at different parts of the yard, we are able to utillise the maximum amount of space that we have for our PE classes. More stations = More fun! 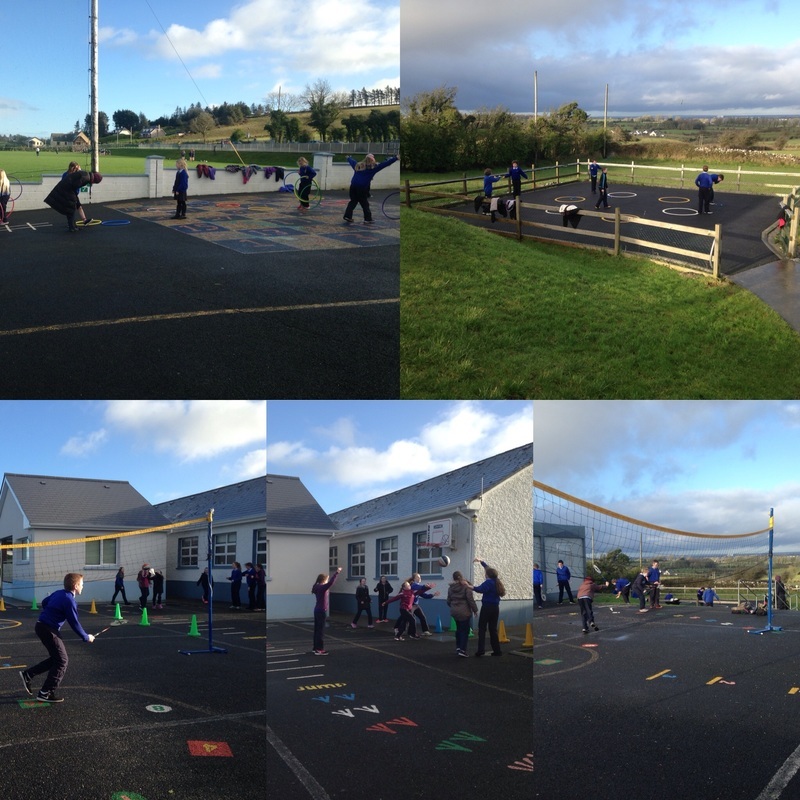 See below 3rd, 4th, 5th and 6th class: Hula hoop station, skipping station, basketball station and badminton station.